This is part of a series of dyslexia-friendly books penned by well-known authors with the intention of providing exciting reading for reluctant young readers or those with special need. 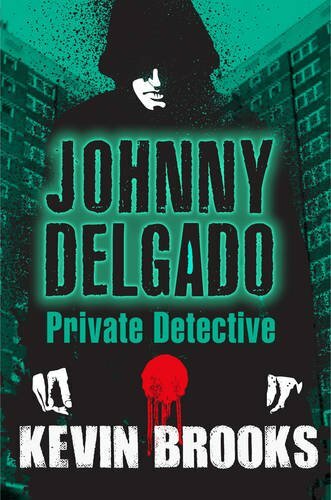 Brooks' contibution to this series is an unlikely but highly readable story about naive but enterprising 15 year old Johnny Delgado and his plans to become a Private Detective. He is hired by two of the most brassily attractive girls on his estate to follow Lee Kirk, a psycopathic criminal who one of the girls claims is cheating on her. Despite warnings from his friend Marcus, Johnny sets out to do the job, only to be framed for a brutal murder. The breathtaking pace of the end of the book brings it to an energetic conclusion, but it is the subtext of compassion,loyalty and justice which ultimately gives the book its resonanace.